I am Director of Educational Technology Services at NC State University. Basically, all technology for teaching and learning at scale is run, developed, integrated, fixed and maintained by my shop of talented developers and systems support folks. I am in a division called DELTA (Distance Education and Learning Technology Applications) at NC State and have been since its inception about 15 years ago. In my first professional position, I ran the technology shop in the Computer Science Department at NC State, where my staff and I pioneered some early learning technologies (that are, in fact, still in use today). I'm an NC State Alum, BS & MS in Computer Science. I guess I bleed Wolfpack Red. I started attending SIGGRAPH in Atlanta in 1988. In 1993, in conjunction with the release of a book on Stereo Computer Graphics which I co-authored, we gave a course at SIGGRAPH. In 1997, we reprised the course, and I met the Courses Chair, Barb Helfer. She was Courses Chair again in 1999, and I served on her committee. I then served on the 2000 Courses Committee, and was Courses Chair in 2001. I served on several other conference committees, and was chair of the SIGGRAPH Student Services committee for quite a while, maybe 8 years or so. Back in the old days, SIGGRAPH had two receptions, a courses reception on Monday night, and a papers and panels reception on Thursday. I have the dubious distinction of being the last Courses chair to host a reception as the two were integrated into one in 2002. My reception in Pershing Square in downtown Los Angeles was the stuff of legends. 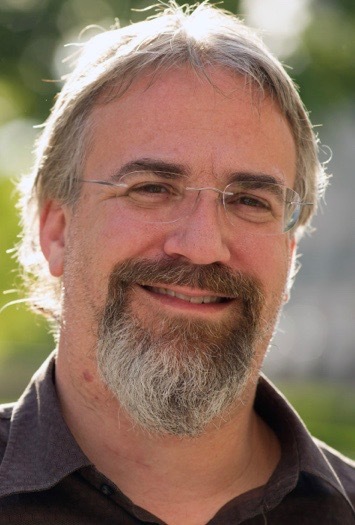 I'm an atypical SIGGRAPH member, my day job isn't really in CG, its in Learning Technology, so I don't do a lot of things that are germane to the SIGGRAPH audience, but we are working on a data analytics project here to try to predict students at risk in a class early enough to effectively intervene to get them help. I think that's pretty cool. I'd pick the living one, I think it'd be more lively. Seriously, there's probably a long list. maybe Auguste Escoffier, if he were cooking, or maybe Carl Sagan. I'm an introvert, but I play an extrovert pretty well in social settings. My dad, and far to many things to list here. He was a remarkably smart and funny man who gave me a thirst for knowledge. Well, Barb Helfer was my original inspiration to volunteer, and Lynn Pocock, 2001 conference chair was an amazing and inspirational leader who set the bar incredibly high. Again, always looking for one thing. I'm proud of the book I helped write. 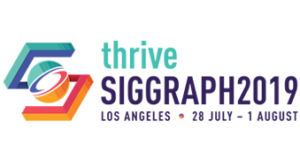 I'm proud of being a SIGGRAPH Pioneer, I'm proud of the things I did for SIGGRAPH, I'm proud of my staff and all the great things they do to make me look good.